In 1962 Watson, Crick, and Wilkins jointly received the Nobel Prize in physiology or medicine for their 1953 determination of the structure of DNA. Watson chronicles this important scientific discovery that continues to shape our lives today. After getting his degrees at the University of Chicago and Indiana University, Watson did postdoctoral research in Copenhagen. He then worked at the University of Cambridge’s Cavendish Laboratory, where he and his fellow researchers explored the structure of DNA. 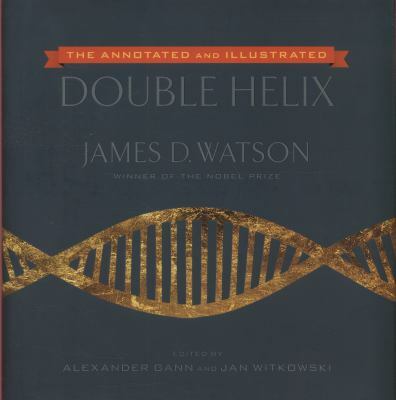 I first read The Double Helix for extra credit for school. I was surprised at how entertaining the book was. This new edition is even better! The annotations, pictures, and other primary documents greatly enhance the whole reading experience. I was amused when I read the letter from the U.S. State Department on denying Linus Pauling’s request for a passport. Pauling, the greatest American biochemist and a peace activist, was invited to speak at a science conference in London in 1952. The State Department believed that granting Pauling’s passport “would not be in the best interest of the United States.” Pauling later received a Nobel Chemistry prize in 1954 and a Nobel Peace prize in 1962. Also new to this edition are the appendices. They are interesting and contain Watson’s apology for his patronizing attitude towards Rosalind Franklin who died in 1958 of ovarian cancer. Franklin was a British biophysicist best known for her work on the X-ray diffraction images of DNA which led to the discovery of the DNA double helix. The Nobel Prizes are awarded to living people so Franklin was ineligible for nomination in 1962. The book reveals that Franklin was treated unfairly by her male colleagues; her contributions did not get recognized fully. Watson’s writing style is lively and descriptive. The book not only covers the history of DNA discovery, it also includes personal and scientific rivalries. It’s fun to read about these scientists and to get to know their human sides. A science book that reads like a novel! Murder of a Small-Town Honey is the debut novel of Denise Swanson. It tells the tale of Skye Denison, a school psychologist and native of the small town of Scumble River. At her graduation twelve years prior, Skye gave the valedictorian speech where she belittles small town life and is happily leaving it behind. Skye is now returning to Scumble River and must face the criticisms of the townspeople who have remembered her speech. Skye also stumbles upon a murder. She finds Honey Adair who is a Chicago TV personality and former resident of Scumble River dead under a dressing table. Skye’s brother, Vince, is a prime suspect in the murder. Skye is out to find the real murderer. Murder of a Small-Town Honey was written in 2000. It is the first book in the Scumble River Mystery series. The most recent title in the series is Murder of a Stacked Librarian. Murder of a Small-Town Honey was a fun read. Skye Denison is a very likeable character. 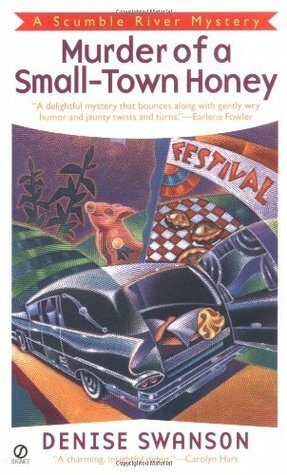 I plan to read the next book in the series especially since the reviews of others suggest that Swanson’s novels get better as she hones her writing skills. 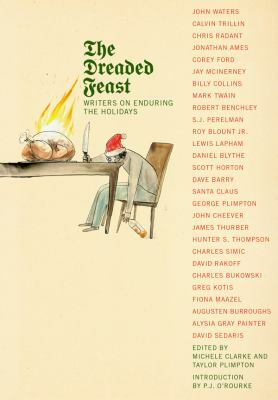 This holiday classic needs no introduction, summary, or recommendation. It has come to define how we experience and celebrate the Christmas season, and I think its parable of redemption and charity make us all better people for being invariably shaped by its themes. This particular edition has the added benefit of classic illustrations by Arthur Rackham, who also provided illustrations for such classics as Gulliver’s Travels, Alice’s Adventures in Wonderland, Peter Pan, and many more. Rackham’s combination of color and black and white depictions of the novel’s high points enhance the reading experience immeasurably. 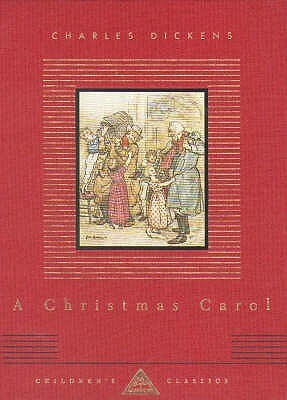 Marley’s ghost is properly ghoulish, the Cratchit’s are skinny yet cheerful, and Scrooge’s cantankerousness and cruelty is manifested in his twisted appearance. A few hours spent with this classic will pleasantly haunt your holiday season indeed. Rowan Williams has been serving as the Master of Magdalene College in the University of Cambridge for about a year now, a position which followed a full decade as the Archbishop of Canterbury. Prior to serving as the leading figure in the Church of England and the global Anglican Communion, Williams had spent his life in the academic circles to which he has now returned. On Christian Theology is one of the major fruits from this earlier stage of academic life, and it demonstrates why Williams is so uniquely qualified to serve in the prominent public roles that he has found himself occupying. This book is a collection of articles originally published in various journals. They deal with issues of scriptural interpretation, historical criticism, interreligious dialogue, Trinitarian theology, sacramental theology, and the nature of the Church. To all these issues, Williams brings a sensitivity to questions of historicity – how did the canon of Scripture come together in its historical process, and how does that affect our reading of it; how did the early Church begin to define itself in relation to the surrounding religions of its day, and how does that inform contemporary interfaith dialogue; does the Church dictate to society the best vision for the public good, or must it also listen and learn from “secular” interlocutors? Williams never seems to be willing to settle for easy or comforting answers, and he gently but firmly challenges the Church to constant self-examination and renewal. 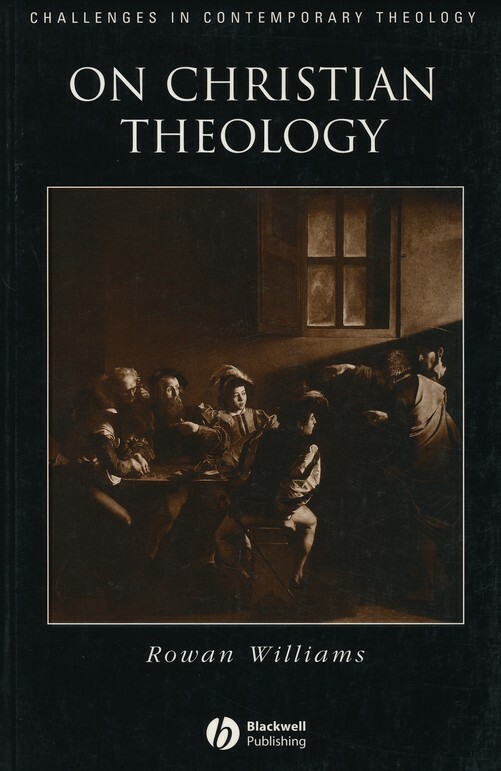 Perhaps the single most significant contribution that Williams offers to the contemporary theological scene through this volume is the three-fold distinction between celebratory, communicative, and critical styles of theological reflection. These styles correspond (very) loosely to liturgical, apologetic, and apophatic modes of theology. Williams’ articulation of these three modes in the Prologue, as well as his demonstration of how to engage in each mode throughout the various sections of this volume, is a very helpful and nuanced model for theological scholarship. When Edouard leaves Sophie to fight the Germans in WWI, he leaves behind a painting of her that Sophie will do anything to protect. Even though the Germans that occupy her small French town take anything marginally valuable from them, Sophie proudly displays her painting as a reminder of her husband. When the new Kommandant sees the painting of Sophie, things begin to change for her. Suddenly she is drawing the attention of the Kommandant and the town is beginning to notice her relationship with him. But Sophie will do anything to be reunited with Edouard again, no matter what the consequences. A century later, Edouard’s portrait of his wife is now owned by Liv Halston who has had her own life troubles. Her husband’s sudden death left Liv with a strong attachment to the painting as he bought it for her on their honeymoon. After Edouard’s relatives discover the lost painting is in Liv’s possession, they believe they are the true owners. But Liv is not convinced that she doesn’t legally own the painting of Sophie and her morals are questioned by everyone around her. Moyes is quickly becoming an author where her books are must reads on my list. 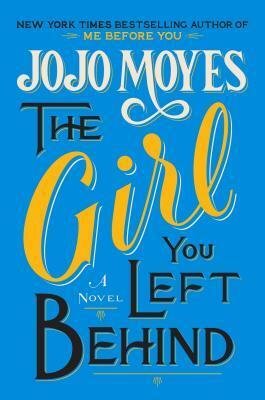 Between Me Before You and The Girl You Left Behind, the stories are completely unique, heartbreaking, and I truly didn’t know what was going to happen in the end or what the right decisions were for the characters. Sophie’s choice between giving everything up for the chance to see her husband again was a gamble I couldn’t imagine. Then Liv’s decision on whether to give up her beloved painting or stick to her beliefs even though she was getting spit on by strangers in the street was cringe worthy. What I got from the book was a story about two strong, incredible women that I won’t forget about anytime soon. Fiction · History · Julia P · Quick Read! Set in Seattle in the early 1920s – mid-1930s this novel revolves around a young Chinese child, William, who has been living in an orphanage for the past 5 years. When he and the rest of the boys are taken to a movie to celebrate their communal birthday he sees a woman on screen and can’t shake the feeling that she is his mother. After he sees posters announcing that this actress, Willow Frost, will be coming to Seattle with a few other stars he knows that he has to find a way to see her and discover if she is who he thinks she is. William has two best friends at the orphanage, Charlotte and Sunny. Charlotte is blind and Sunny is Native American. The three of them are definitely designated as “different” so it’s nice they’ve been able to band together. As William tries to figure out how to escape and meet Willow, Charlotte lets him know that she wants to go with him. While William worries she’ll be a hindrance, her company and support are definitely appreciated as they maneuver through the city and try to survive without much money and with the fear they’ll be discovered and transferred back to the orphanage. When they finally make it to one of Willow’s performances it becomes clear there’s a lot more to Willow’s back-story than meets the eye. She’s a star of the silver screen, but her path to celebrity wasn’t an easy one. I enjoyed Songs of Willow Frost. It makes for a quick read and I really appreciated the historical perspective. 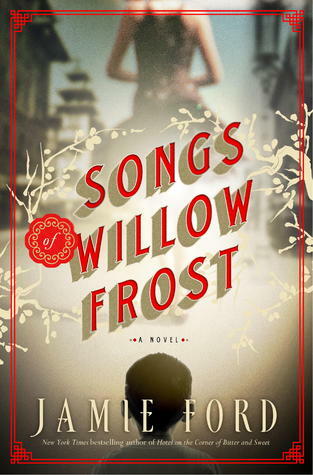 I enjoy reading about the history of the 1920s but Ford presents a different view of this time period by focusing on the world William and Willow were part of – being Chinese in the northwest at this time had its own set of prejudices and obstacles that needed to be overcome.